Bureau of Fire Protection Sorsogon City announced that the cause of the Sorsogon National High School fire last month was an electrical overload. According to its investigation, the overload caused a short circuit at the Cashier's Office. 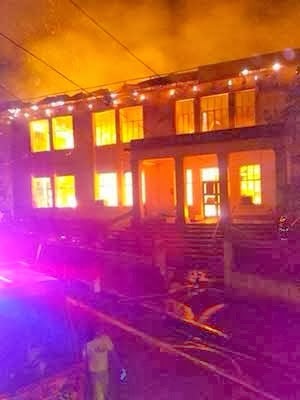 Witnesses earlier said that the fire began spreading from the century-old building's right wing. Meanwhile, alumni and supporters of the Sorsogon National High School have established a fundraiser to collect money for the rebuilding. Among the prominent personalities who pledged to help the school is Sorsoganon philanthropist Loida Nicolas-Lewis.